Last weekend, we met with friends for an afternoon of playing Super Mario Kart, wine, cakes, cheeses and minestrone (talk about an eclectic mixture). We had a Pinot Noir that I was not very fond of so I am not writing about that one (Nina liked it quite a bit, which is always a mystery to me…but she likes red wines with sharp edges, I don’t). But, with the cheeses, we did share this bottle of wine, the 2011 Karl Erbes Ürziger Würzgarten Kranklay Riesling Spätlese. Regular readers of this blog are probably familiar with the winery, if you aren’t, I wrote about it in detail here. The winemaker Stefan Erbes has become a good friend of mine. Some of you should also be familiar with the Ürziger Würzgarten by now, one of my preferred vineyards along the Middle Mosel. But you might wonder what that word “Kranklay” behind it means. Let me explain briefly: The German Wine Act, passed in the early ’70s, did many things that I can just look at in amazement these days. One of them was merging single denomination vineyards into bigger single denomination vineyards by expanding particular plots and getting rid of the old names. So, what used to be a rather small vineyard, the Ürziger Würzgarten, is now a pretty big stretch of land. 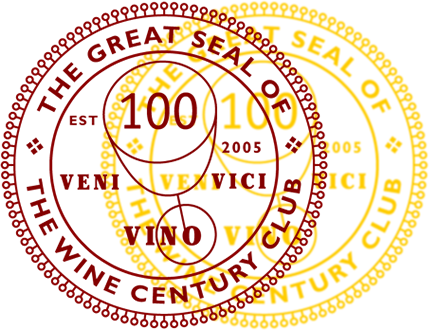 The incorporated vineyards lost their single vineyard denomination and vanished. Among these merged plots were some pretty good ones: in Erden for example the “Herzlay”, or in Ürzig the “Kranklay”. The German Wine Act prohibits wineries from putting the names of these now defunct vineyards on the label, even if the vineyards are in these old plots. A younger generation of winemakers has realized that terroir actually matters (it really does not in any way to the German Wine Act). So, some of them have started putting the names of the deleted vineyards back on the labels because they believe they are unique and should be identifiable. While this is not allowed by the Wine Act, it depends on the wine commissioner to assess whether to exact penalties or not. The Middle Mosel is quite lucky in that regard as the current commissioner does not seem to care too much. So you will find the denominations Kranklay or Herzlay on bottles of Karl Erbes or Dr. Hermann. The Kranklay then is part of the Ürziger Würzgarten. It is located in the higher, Eastern parts of the South facing Würzgarten, close to where the Erdener Treppchen begins. It is a perfect amphitheater and has a pretty good micro climate. Stefan decided it is worth pointing that out and putting the name back on the label. The wines tend to taste a bit riper in my experience than the rest of the Würzgarten. But let’s move on to the wine: it has 7% ABV and was from the super ripe 2011 vintage, so we knew we were in for a sweet treat…In a short exchange, Stefan told me that the 2011s are now beginning to shine. In the glass the 2011 Karl Erbes Ürziger Würzgarten Kranklay Riesling Spätlese was strikingly bright yellow. To me, the nose was a bit subdued, with floral aromas. On the palate the wine was quite sweet, showed honey and peach aromas. It still retained a decent amount of acidity but the sugar level definitely gave me one of those very welcome sugar burns in the throat (I have no clue if you understand what I mean: it is this mixture of acidity and sugar that can create a warm, fuzzy feeling in the upper throat region. I quite enjoy that in a good Riesling). The wine had a long finish. After a while I began tasting red apples and some orange rinds. It was a perfect match with the goat cheeses we had (goat gouda, goat manchego, two other hard goat cheeses and a soft, Greek goat cheese). We like to eat those cheeses with some kind of fruit mustard, but who needs that when you have a wine like this in your glass? It is still in the early stages of its development. To a certain degree, it seemed more like an Auslese than a Spätlese in its intensity and I am rather certain that the must reached Auslese levels in degrees Oechsle. If you like sweet German Rieslings, this is a great bottle of wine for you. Also, when we manage to finally get together, it would be great if we could set up a sort of “German Riesling mini wine tasting experience” :-) I do not know nearly enough about it and would appreciate it if you could teach me and guide me in their tasting. Yes Oliver, really fine job here. Glad to hear that things might be changing as well! Thanks, Jeff. There is a lot going on and the VDP is definitely pressing its Burgundy system which will make things a lot easier (with quirks, one of them being that ‘Grand Cru’ sites are selected by the regional VDP associations which has led to an inflation of grand crus in some areas, especially the Mosel). But as far as wine making is concerned, I think there is hardly a more exciting young generation to be found! What a great detailed description, Oliver! 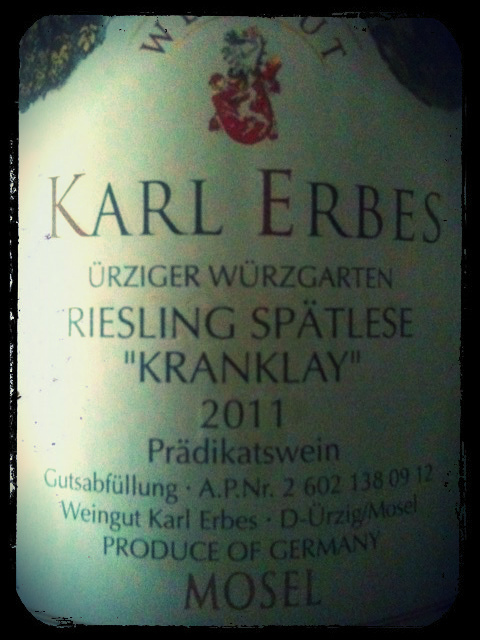 I haven’t had any Karl Erbes Rieslings yet but I’ll check where I can find some older vintages. I tried some Spätlese at a Munich wine fair in November and some of them were actually quite good. The Markus Molitor Riesling that you once recommended was fantastic. Thank you so much! You can email Stefan at the winery, Julian. They have tons of older vintages and they are still quite affordable. And shipping in Germany is not that much. Their 1997 and 1996 Auslesen from the Würzgarten are great! Great post, Oliver. I only know that Germany’s wine laws and naming is one of the most difficult things to learn in the wine world – it is only when someone goes for the top level Master Sommelier exam they have to know all the German wine classification by heart. But I had no idea that it is so unnecessarily complicated, and moreover, I guess the proper way to put it, screwed up. Oh WOW, I did not know that sommeliers only have to learn that stuff by heart in the master class…There are many efforts under way: The VDP is trying to move to a Burgundy model of estate, village and cru wines. It just goes to show how far German wine has come since the 1970s.